Suitable for Post To Post and Over The Post. White oak half newel base measuring 90 x 43 x 510mm - unfinished. This premium quality newel base is supplied unfinished ready for staining, varnishing etc. 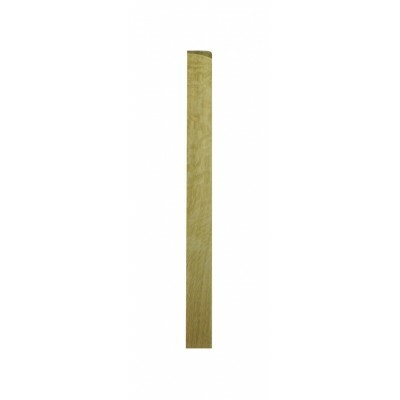 Designed to finish off your staircase banister or balustrade, the half newel base is ideal for fitting against a wall on the landing. Suitable for use with all the Richard Burbidge ranges.